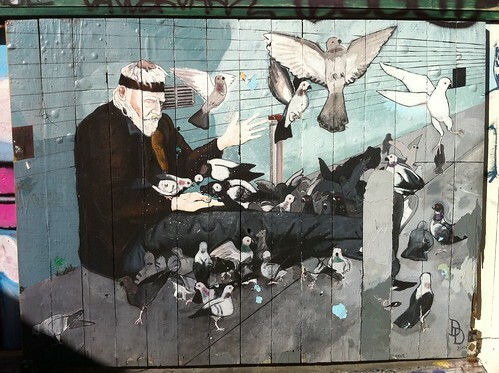 As long as we’re on the topic of 16th Street’s favorite pigeon feeder, there’s a mural of the guy over on Clarion Alley that you should check out. Actually, you should check out Clarion Alley in general. The murals tend not to last too long there, which is both a blessing and a curse. But the quality and creativity is outstanding.